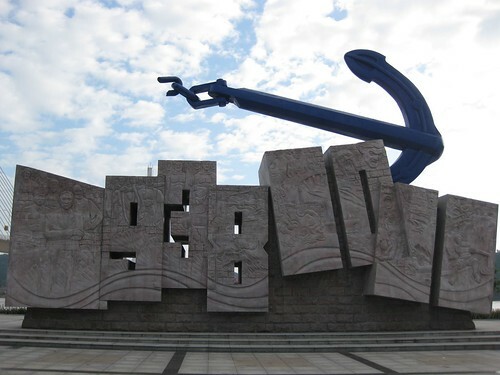 In 1938, during the “War of Japanese Aggression”, Yichang was a primary supply depot for the defending Chinese army. As the Japanese moved up the Yangtze river towards the strategic city of Chongqing, it soon became clear that Yichang needed to be evacuated. During a 40 day period of time in 1938, more than 100,000 tons of equipment and 30,000 personnel were transported upstream (by steamship or by porters pulling smaller vessels with long ropes) through the Three Gorges rapids to Chongqing. 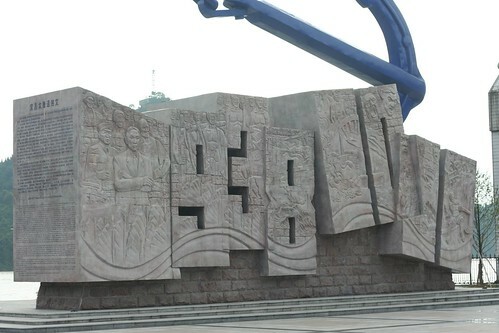 This monument was erected in 2008 to remember the Yichang evacuation of 1938.